Borracho first appeared in Murder Bros. He is a Kobold and was an orphan at a young age. 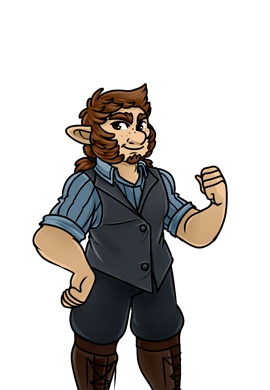 He also found a Porc named Bubs and are in the Murder Bros gang together. 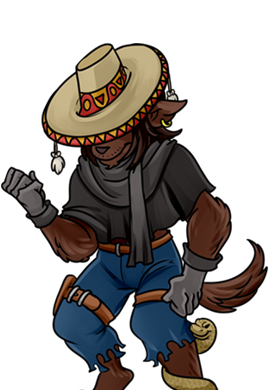 Borracho was last seen being arrested by Galen Sunsword and The Law after losing a fight in Buckeroos.